The High Mobility Multipurpose Wheeled Vehicle, or Humvee, is one of the American armed forces' most recognizable vehicles. Developed towards the end of the Cold War with a land engagement in central Europe in mind, this versatile vehicle first came to prominence in the desert, during the Gulf War. 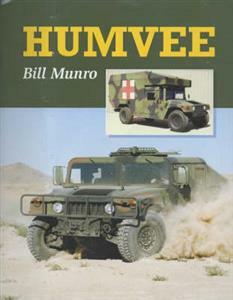 This book traces the Humvee's heritage from the first motor vehicles used by the US military in the Great War, through the trucks of World War II, to this vehicle's development and deployment. There are full technical descriptions of all US models as well as variants produced by other countries.